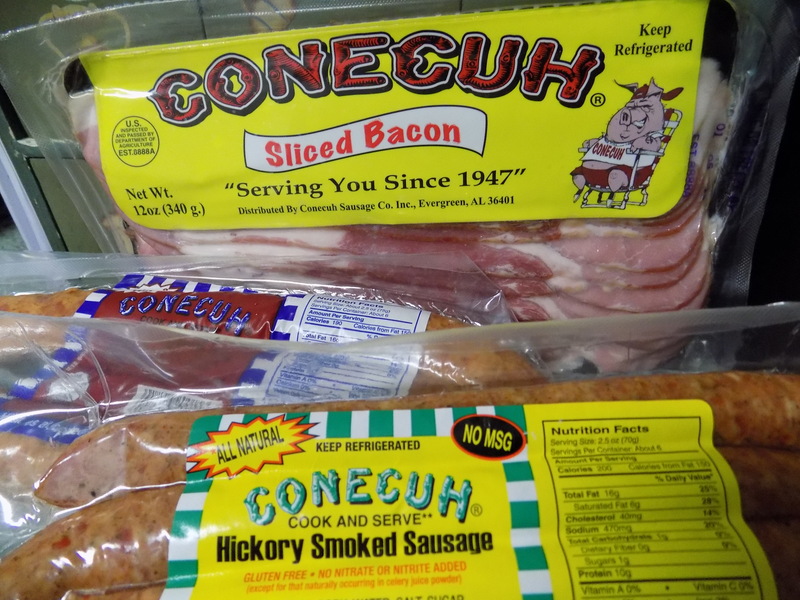 Traveling north on I-65 from Mobile Bay, the aroma of hickory smoked sausage is too tempting to resist at exit 96 in Evergreen so I had to stop to check out the Conecuh Sausage Company’s store. 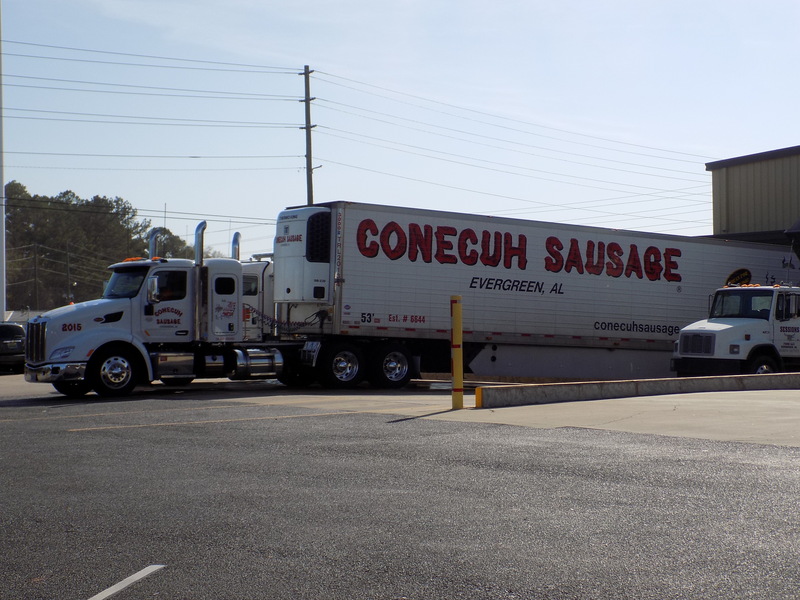 Conecuh Sausage (www.conecuhsausage.com) is made in Evergreen, Conecuh County, Alabama, in a factory visible east of I-65 about halfway between Montgomery and Mobile. The business, still owned by descendants of founder Henry Sessions, has been in operation since 1947. The family protects Sessions’s original recipes and still uses his distinctive smoking techniques. It is only fairly recently that the products have been available on a wide scale. When I followed the enticing smell of hickory smoke to the factory recently, trucks were bustling in and out, headed in all directions with their tasty cargo. 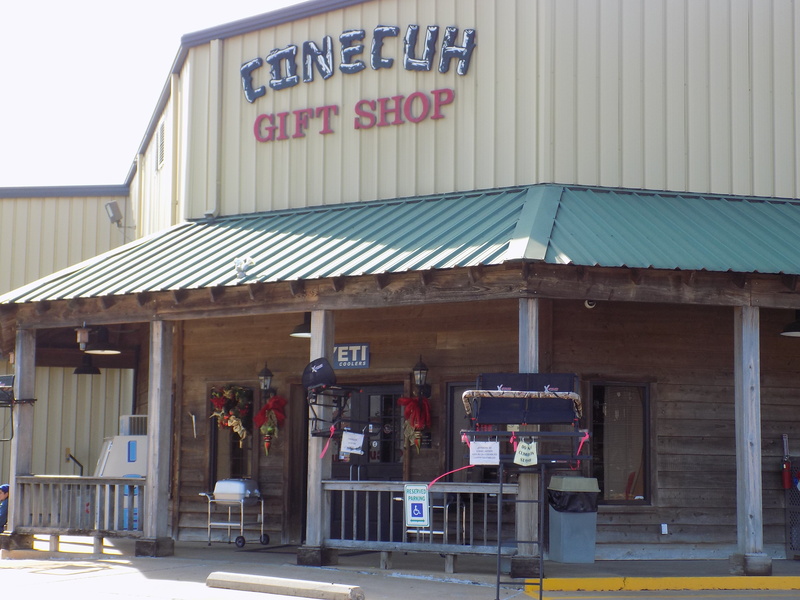 Conecuh Sausage Co. products include hickory-smoked sausages, hams, bacons, and turkeys in a variety of flavors and with a range of heat. A unique blend of seasonings makes the flavors stand out and it quickly became my sausage of choice. I always keep Conecuh sausage on hand and I have to be careful when I open a package; once it’s opened, it’s quickly gone. Fortunately, Conecuh brand sausage is available throughout Alabama and is featured in restaurants all over the state. On a recent visit to Mobile Bay, I saw dishes featuring Conecuh sausage on three separate menus. Not that long ago Conecuh sausage was only available in south Alabama locales so I was surprised to find out recently that it is now distributed in over twenty states throughout the southeast, as far west as Kansas, along the Great Lakes, and up the east coast into New England (where it would be an excellent addition to a clambake or a lobster boil). The products are also available for shipment throughout the continental U.S.
Conecuh sausage is great on the grill or cooked in an iron skillet on the stovetop as an appetizer. It’s my favorite for turnip green soup or jambalaya and is a good seasoning for greens and pots of beans. The company’s website includes a variety of recipes. This entry was posted in Conecuh sausage and tagged Alabama, Conecuh Sausage Co., Evergreen Alabama, Henry Sessions of Conecuh Sausage, New Year's Soup on December 26, 2016 by gedwardjourney.